In order to be considered for a blended review, a content management solution must have at least one review at Gartner Peer Insights, G2 Crowd and Trust Radius. Below is a very brief summary of the user review sites for Lexmark Enterprise Content Management. We strongly encourage you to visit each of these sites in order to get a full picture of what users of Lexmark have to say about their experiences with the solution. To read the full reviews of Lexmark and see all of the other great Enterprise Content Management research tools Gartner has to offer you can follow this link here. To read the full reviews of Lexmark and see all of the other great Enterprise Content Management research tools G2 Crowd has to offer you can follow this link here. In contast with Gartner and G2 Crowd, Trust Radius requires that you register to read full reviews. At TrustRadius, the majority of the reviews are from mid-sized and enterprise companies. There are not enough quality reviews about Lexmark on TrustRadius, but you can see all of the other great Enterprise Content Management research tools Trust Radius has to offer by following this link here. 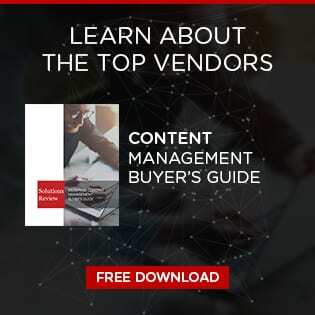 Download a free copy of our Data Management Buyers Guide. 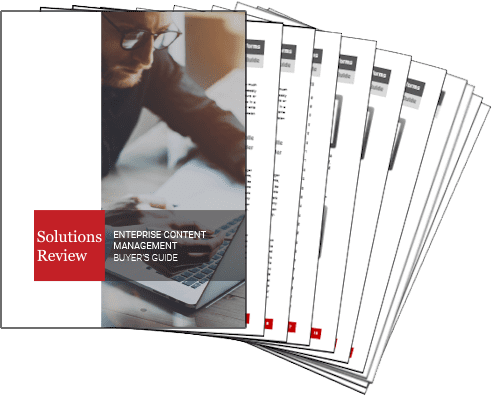 NEW for 2016: Featuring a comprehensive market overview, the top questions to ask providers, and full one-page profiles of the top-28 vendors for your enterprise. The perfect primer to beginning your search for a new solution.